Organizers of a proposed high school division for Rabbi Pesach Raymon Yeshiva say it will take two years to assess community needs and demand, create an identity, and locate an appropriate site. 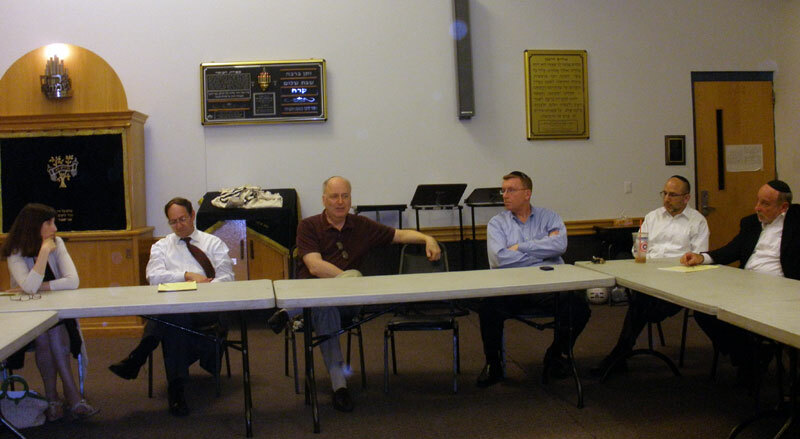 “We think 2013 is more realistic,” said board of education and committee chair Hillel Raymon during the initial meeting of the high school exploratory committee, held July 20 at the Edison school. The committee said it planned to draft a survey to send to parents of potential students and others before the end of August to gauge interest and determine policies and programming. The meeting was held in the aftermath of the closing of the Moshe Aaron Yeshiva High School in South River, leaving Middlesex County without a traditional Orthodox high school. The new nondenominational Pre-Collegiate Learning Center of New Jersey, which is based on self-paced individual learning, is set to open in September at the East Brunswick Jewish Center for grades eight-10. Organizers of Rambam Yeshiva of New Jersey, which had been scheduled to begin in September in Old Bridge, put its opening on hold for a year after a meeting earlier this summer initiated by local Orthodox rabbis. Rambam supporters said community leaders had agreed to work together to create a broader coalition of supporters. 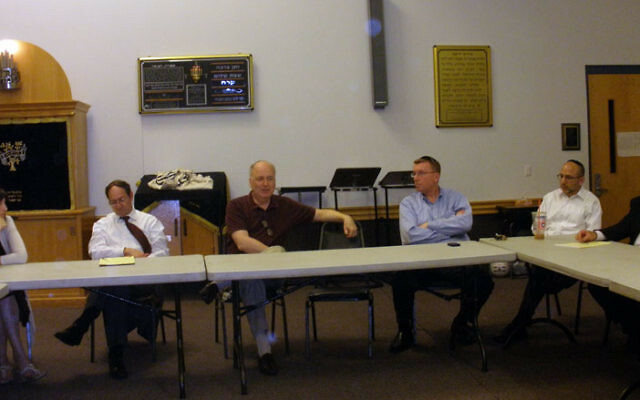 There were no Rambam representatives at the July 20 meeting, and NJJN could not reach leaders for comment on its plans. “We do have an opportunity here to fill a niche, to offer something no one else in the area has,” he said. Organizers are looking for a new site for the high school; with a target student population from East Brunswick, Highland Park, and Edison — although it is expected to draw pupils from throughout the greater area — it is likely the site would be local. The new school would probably start with ninth grade, for which it would more likely get “a critical mass” of students, and would gradually add grades. Raymon said the high school would reflect the community’s centrist philosophy and would be welcoming to all Jews. The cost of day school tuition, which can run about $15,000 per year, has become the focal point of much discussion in the local community as several day schools have experienced financial difficulties. Sources told NJJN that at the time of its demise, MAYS was as much as $2 million in debt. That challenge is the focus of the final two programs of a Shabbat series on issues facing the Orthodox community, offered by Congregation Ahavas Achim in Highland Park. On July 30, Josh Pruzansky, the Orthodox Union’s New Jersey regional director of public policy, spoke on Funding Jewish Education: Our Role in Advocacy. And at the Aug. 13 program, a panel discussion featuring Rabbi Steven Miodownik, Schwarzberg, and other local day school leaders will address the topic Are Jewish Day Schools Sustainable? Those interested in more information about the proposed school or who would like to take part in the survey can contact highschool@rpry.org.